Sturges spent his early screenwriting years working in a variety of genres on many films, including The Power and the Glory (1933), The Invisible Man (1933), Twentieth Century (1934), Imitation of Life (1934) and Diamond Jim (1935). 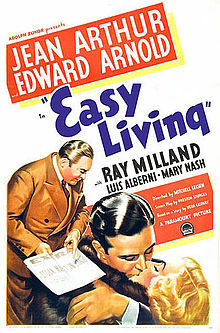 His reputation as a Hollywood screenwriter was established with an adapted screenplay for Easy Living (1937) and an original screenplay for Remember the Night (1940). But he always had multiple irons in the fire, and while he grew and prospered as a Hollywood screenwriter he also invested his time and money in other interests. An inveterate inventor, he launched the Sturges Engineering Company in Los Angeles in 1935, initially building and selling internal combustion machines. In 1936 he helped finance and became a partner in Snyder's Café, a trendy nightspot on Sunset Blvd. (later a location for Wolfgang Puck's Spago). Sturges took great pleasure in playing host at Snyder's and spent most evenings there welcoming guests, buying drinks and singing with cronies around the piano. Neither Sturges nor his partner, Ted Snyder, had a head for business and by the time it closed two years later, the café was deeply in debt. But Sturges enjoyed the role of restaurateur and had already hatched a plan to open a place of his own. One night in 1939 Sturges invited Paramount production chief Bill LeBaron over for dinner and showed him a script he'd been working on for six years. He offered LeBaron a deal. 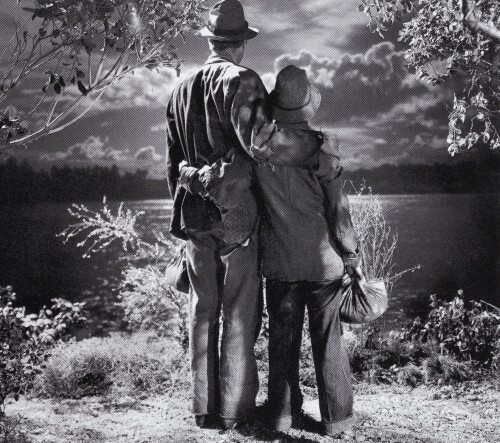 If Paramount would allow Sturges to direct the picture, he would sell the script to the studio for $1. A check in the more generous amount of $10 was cut in August and the picture to be known as The Great McGinty went into production in December. It opened to sensational business the following summer. This advancement from writer to writer/director was precedent-setting and paved the way for every future writer/director from Billy Wilder to Francis Coppola and Woody Allen to the Coen Brothers (the title of their O Brother, Where Art Thou? was appropriated from Sullivan's Travels) and beyond. The Mitchell Leisen-directed film of Sturges's screenplay for Remember the Night opened in January 1940 breaking significant box office records, but Sturges was now committed to writing and directing movies. That year he went to work on his next two films, Christmas in July (1940) and The Lady Eve (1941). At the end of the year he signed another contract with Paramount and got the good news that his wife was expecting their first child. Sturges was also deeply engrossed in his new restaurant. 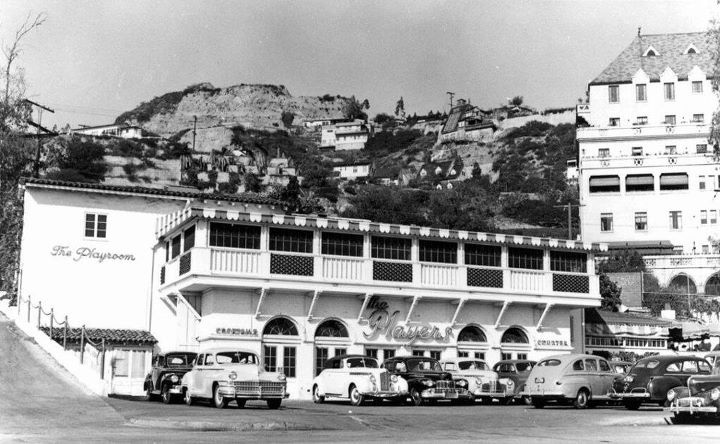 When the lease on Snyder's expired in December 1938, he moved furniture, fixtures and equipment to the three-level building he'd purchased at 8225 Sunset Blvd. and began construction on the restaurant/nightclub he would christen The Players. Sturges supervised every facet of the project, from menu planning to designing uniforms, selecting paint and overseeing carpentry. The Players opened quietly in the summer of 1940. 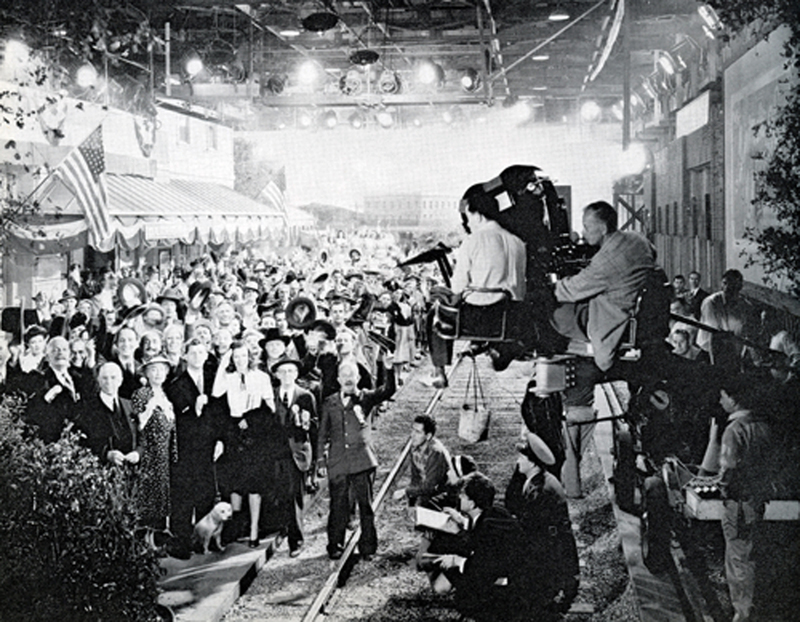 It was much larger and, with music and dancing, far more expensive to operate than Snyder's, but Sturges had high hopes. By the time his son was born in 1941, The Lady Eve was on its way to becoming one of the biggest hits in the history of Paramount, Sturges had two more films in the works and The Players had gained popularity as one of the "smartest places" in Hollywood. According to his wife, Louise, the lure of The Players for Sturges was that it allowed him to "be Grand Pasha after hours - that was the main attraction..." He relished the role of genial supper club proprietor and being at the center of a convivial crowd, dining, drinking and carrying on into the wee hours. 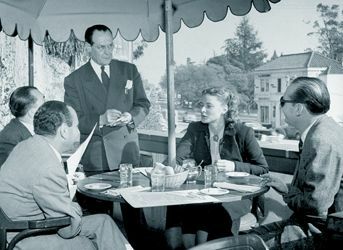 The location of The Players, at the top of the Sunset Strip, was ideal for Sturges's purpose, providing a place for movie industry pals to unwind - with him. The fabled Chateau Marmont was perched on the side of the hill directly behind The Players, with only a small lane separating the two. Across Sunset Blvd. 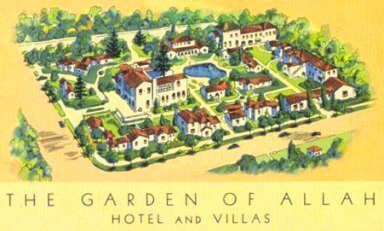 was the famed Garden of Allah, the former mansion of silent screen star Alla Nazimova that had been converted into an exotic hotel/apartment complex. Together, the three formed a kind of "Golden Age of Hollywood Triangle" into which many film colony luminaries frequently disappeared. Chateau Marmont, today a Los Angeles historical/cultural landmark, began life in 1929 as an upscale apartment building. It's fortunes fell with the stock market a few months later and in 1931 the building was sold and turned into a suites hotel. The new owner was Albert E. Smith, co-founder of American Vitagraph (purchased by Warner Bros. in 1925). Smith and his wife furnished the Chateau with pieces found at local estate sales and auctions, giving the hotel what is known as "the Marmont look." Over the years, the Chateau developed a reputation for its discretion in providing guests with maximum privacy. In 1939, Columbia Pictures president Harry Cohn famously advised rising stars William Holden and Glenn Ford, "If you must get in trouble, do it at Chateau Marmont." The Chateau's long history is filled with rumors and legends, among them: Clark Gable and Jean Harlow rendezvoused there, F. Scott Fitzgerald lived and wrote there, Vivien Leigh was a guest following her split with Laurence Olivier and covered the walls of her suite with pictures of him, script readings for Rebel Without a Cause were held in one of the hotel bungalows, Paul Newman and Joanne Woodward met there...and on and on. There was never a shortage of famous names and faces in attendance at The Players. Many, like Orson Welles, Humphrey Bogart, Howard Hughes, F. Scott Fitzgerald, William Faulkner and the Algonquin set were either staying up the hill at the Chateau or down the street at The Garden of Allah. Good friends of Sturges like William Wyler, Ernst Lubitsch, Barbara Stanwyck and Joel McCrea stopped in - as did friends of friends like Lana Turner (who came with Howard Hughes to celebrate her birthday). A visiting tourist of the time captured the allure of The Players with a postcard she sent home on which she gushed about dining at "the glamour spot of Hollywood" and sighting both Miriam Hopkins and Boris Karloff while eating "the best raspberry shortcake I ever had." 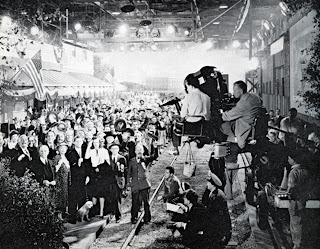 A good part of the enormous income Sturges earned at Paramount was lavished on The Players. The original redesign and reconstruction of the building had been expensive, but out-of-control operating costs along with constant renovations and additions prevented The Players from ever breaking even. In fact, it was such a drain on his finances that Barbara Stanwyck warned Sturges, "That goddamned greasy spoon is ruining you!" The Players reached its zenith during the war years, with restaurants operating on all three levels and a barbershop on the mezzanine. A dinner theater/dance floor featuring a hydraulic revolving stage was installed and eventually even a hamburger stand was added. And there was the long-standing rumor that Sturges had gone to the trouble of building a tunnel beneath Marmont Lane connecting The Players to the Chateau so celebrities could slip away discreetly - for clandestine affairs or simply to avoid the press and/or the police. The only amazing thing about my career in Hollywood is that I ever had one at all. Edwin Gillette, assistant to Sturges from 1937 - 1942, recalled how his boss loved to have a good time and "be the great raconteur, but he had to work to get the money to enjoy himself." With or without the money, Sturges was a profligate spender. His engineering company was sold after the war with proceeds going to the IRS. He was able to hold onto The Players until 1953 when the government put a lien on its income, auctioned off its contents and finally sold it to cover taxes and debts. Sturges lived six more years and died just before his 61st birthday while working on his memoirs at the Algonquin Hotel in New York. Coincidentally, two months earlier The Garden of Allah had been demolished. But the site that housed The Players lived on, going through several incarnations in the decades to come. Beginning in 1953 it was Imperial Gardens, a huge Japanese restaurant with reflecting pools on the upper floors, popular with musicians and actors. Next, in 1989, it re-emerged as The Roxbury, a trendy and notorious nightclub where A-list patrons included Tom Cruise, Prince and Eddie Murphy. In 1997 it changed hands again and became Miyagi, a restaurant/nightclub with 7 sushi bars, 5 regular bars, a Zen garden, a waterfall, a dance floor, pool tables and more. In April 2012, it opened as Pink Taco, part of a Mexican restaurant chain owned by 30-year-old Harry Morton, son of Hard Rock Cafe chain founder Peter Morton and grandson of Arnie Morton, founder of the Morton's restaurant chain. During the renovation of the property, young Morton had the site excavated deeply enough that not only was the revolving stage beneath Sturges's dance floor found, but also the entrance to The Players' "legendary VIP tryst tunnel" to Chateau Marmont - apparently sealed off by the city long ago. According to Harry Morton, he dug through layer upon layer of debris, "But when I stripped it all down, incredible things came to light." A truly informative post about Sturges, Eve. I had no idea he did anything but write great scripts and direct outstanding films. Stanwyck was smart when it came to money--Sturges should have listened to her warnings. Kim...and this post barely scratches the surface of his wild and woolly life. Once you know his background, Sturges' style and the stories he tells in his films seem very much a case of his art reflecting his life. Thanks! Lady Eve - this was an awesome post! The true life Hollywood stories are often more interesting than the stories on the screen - and that's what we love aobut Hollywood. Sturges was one of those larger than life characters that put the place on the map of everyone's imagination. Loved this one!! FlickChick, You and I seem to have been delving into Hollywood history at the same time judging by our current posts. 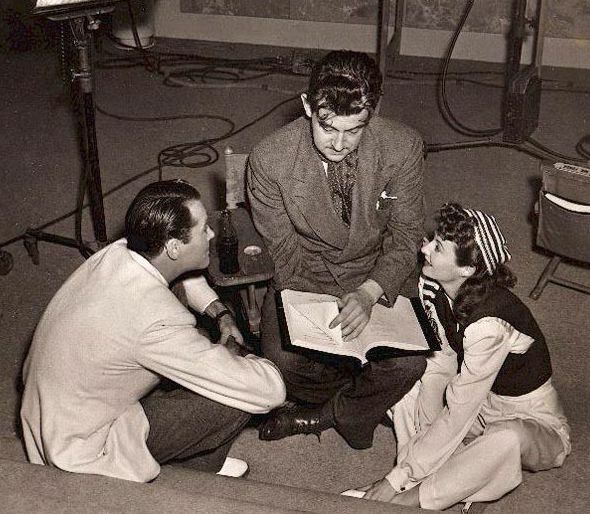 Preston Sturges was such a creative and inventive creature, and so energetic. All of this, of course, is brilliantly reflected in his best films. But he seems to have had no head for money at all. He made tons of it and lost all of it - more than once. I know! What do they say about great minds thinking alike? ...and I just noticed that Page is on the same page (ha! ), too - she has posted an extensive piece on the estate of Rudolph Valentino - Falcon's Lair. Eve, a fantastic post and so fluidly written too. I finished Sturges's autobiography not long ago, and I thought you did a great job of summarizing what he revealed of himself. I actually found his early life, his vagabond boyhood, more interesting reading than his years in Hollywood, if for no other reason than that he declined to gossip or tell anecdotes about his pictures and the people he worked with. He was such a spendthrift--often impulsively, but even his long-term projects like The Players seemed to proceed in impulsive bursts--that I wondered if he had inherited a touch of bipolar personality from his peripatetic mother. His stories of his boyhood memories of his mother's best friend, Isadora Duncan, were trememdously exciting. The information you added from your other sources was nicely integrated with your impressions of Sturges culled from his autobiography. I watched "Sullivan's Travels" two nights ago on TCM and was amazed and thrilled all over again at what a great movie it is, surely his masterpiece. Sturges was a true renaissance multi-talented man, and your post did a wonderful job of conveying this as well as giving a vivid glimpse of how Sturges fit into the Golden Age of Hollywood milieu. R.D., It's gratifying to know that you found this piece fluidly written, as flow was something I tried for. Donald Spoto had access to the materials Sturges' widow compiled into "Preston Sturges on Preston Sturges." Plus he interviewed many who knew and worked with Sturges, so I'd say his bio was as valuable for my purposes as the autobiography (though not as well written!). I agree with you that Sturges' childhood and youth were endlessly fascinating. And I came to the conclusion that he was most definitely his mother's son - his life mirrored hers in so many ways. I recorded both "Sullivan's Travels" and "The Palm Beach Story" when they were on TCM the other night. Those two along with "The Lady Eve" are my favorites of his - but I enjoy all but his last few post-heyday movies and am hoping to get the boxed set one of these days. Eve, I always enjoy your posts about where the Hollywood icons lived, played, and shot their films. This was an awesome piece on Sturges, especially the details on his total involvement in the design of The Players. I still think THE MIRACLE OF MORGAN'S CREEK is his greatest achievement (and am constantly amazed that he got it made at all). Thank you, Rick - Happy that you enjoy reading these glimpses into Hollywood history of mine because I very much enjoy researching and writing them. The real miracle of "The Miracle of Morgan's Creek" is, indeed, how it ever managed to be made in the 1940s. In his autobiography, Sturges writes amusingly about the letters he received after the film, which was a big hit, was released. Irate parents of young girls, irate servicemen (complaining about how much harder it now was to get a date), etc. Great post Lady Eve. To me there's nothing more enjoyable than to watch a Preston Sturges or Frank Capra film. I too am a big fan of Morgan's Creek, as well as the ones that are your favorites. And what a playground at The Players, The Garden of Allah, and The Chateau Marmont. A long-lived fly on the wall could tell us stories we've never heard of. Interesting info on Preston's issues with, parting with Paramount. Surely he wasn't any more contentious, headstrong as others they had endured over the years. Oh, the two films that Sturgess had not yet released when he got he boot (most well known) are my least favorites of his work. I'm weird like that! 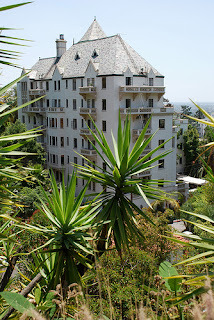 Loved the info on the Chateau Marmont. Boy, if those walls could talk! I love reading about the old Hollywood landmarks. Glad a few have survived. I'm going to tape The Palm Beach Story to watch again but I'll probably pass on Easy Living this go around after doing that long photo review in January. Page, Money was one important source of Sturges' conflict with Paramount. He was, in his heyday, one of the most highly paid men in America - and that pay came from Paramount. On top of his salary, once he became a director he spared no expense or time on his productions. 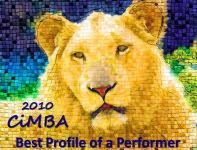 It's also been said that he was viewed as "abrasive" by some at the top of the studio hierarchy. The old Hollywood landmarks and legends fascinate me, too. It's interesting that at the same time I was exploring Hollywood history related to Preston Sturges, you and FlickChick were investigating other realms - Valentino's Falcon's Lair and the William Desmond Taylor mystery. Thank you, Kay, and it's my great pleasure to virtually know you, too. As for the demolitions, I only wish The Garden of Allah had been as fortunate as Chateau Marmont and survived long enough to be made an official landmark. The Players wasn't demolished, but stands today in all its massive gaudy pink glory, thanks to Harry Morton and his trendy taco enterprise. Would be lovely if someday someone would endow it with a more classic Hollywood style a la Chateau Marmont. Poor Preston Sturges! What a rollercoaster ride of a life he had, with money and success coming in on one hand, and splurging and excess going out on the other. Thanks for your terrific and informative post on this (to me) little-known aspect of this fascinating, frustrating genius. GOM, I think the rollercoaster life was the only kind Preston Sturges knew - from infancy 'til his late years, when the ride seemed to be on an endless down-swing. According to one of his closest friends, even in the late '40s when he no longer had a reliable income, Sturges told her, "Money has no meaning to me, there's so much of it around." However, he later bemoaned the fact that he'd made and lost two or three great fortunes. Fact is, he was an artist, not a businessman and apparently didn't understand the difference. Wow, what a wonderfully written piece. Man, I gotta go back and rewatch some Sturges pictures. Thank you, Dave, very happy that this piece inspires you to want to watch the films of the phenomenal Preston Sturges again. This is one of your pieces yet! It is beautifully composed. I love the way you weave Sturges' career highlights into his personal investments and passions. Truly we will never see the likes of men such as Sturges. They were brilliant and willing to risk everything for their passions. 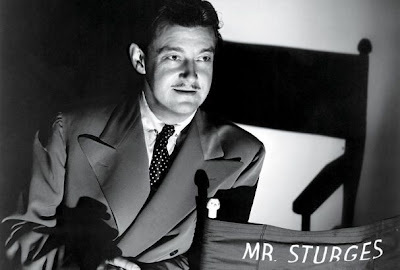 Many years ago I remember reading James Curtis' biography of Sturges and thinking if I could pick one Hollywood director whose life would make a great movie, it would be Sturges. Your post reminded me why I thought that. It's too bad Paramount thought Sturges was more trouble than he was worth, but I'm glad he wound up at Paramount than any other studio. That sheen of wit and sophistication that their films had made him an ideal fit for the studio. Paramount was to comedy what M-G-M was to musicals and horror films to Universal, and Sturges no doubt felt right at home there. I shudder to think how his talent would have been squandered say, at M-G-M. The background on The Players was fascinating. Another great post, L.E. You make a great point that Sturges belonged at Paramount. He apparently had made overtures to MGM at one time and another but, fortunately, nothing ever came of it. He blamed misunderstandings for his split with Paramount and later waxed very sentimental about the studio. Eve ~ you have written an elegant and sophisticated look at the life and career of Preston Sturges, complete with a sophisticated wit worthy of the man. I was vaguely familiar with his childhood and his early career, but his part in creating the Golden Age Of Hollywood is a new glimpse at a fascinating man. I was also familiar with the history of Alla Nazimova’s Garden of Allah, but I was unaware that it formed, along with the Chateau Marmont and The Players, a “triangle into which many film colony luminaries disappeared” (a perfect image of the times). The stories regarding early Hollywood’s landmarks too often include them vanishing into the mists of times, and I’m glad to hear that the myth of the Marmont tunnel was not only true but located in the most recent renovation. 'Gypsy, Thank you so much! Reading what Sturges wrote about his own life does prod one to stretch a bit when writing about him - but he is an impossible act to follow. According to Sturges, the property that became The Players, was once the home where silent era comedian (and Sturges stock company member) Chester Conklin grew up. It was later the Hollywood Wedding Chapel and had been a club of some kind after that, though it was shuttered by the time Sturges purchased and transformed it. What a history! Eve, What a great article on Sturges! He was such a great writer, I just love many of his films, EASY LIVING with the great Jean Arthur, REMEMBER THE NIGHT and of course his ,masterworks, SULLIVAN'S TRAVELS and THE LADY EVE two of my all time favorite. His reign was short comparatively speaking but like Billy Wilder he pave the way for writer/directors. I still need t see THE PALM BEACH STORY, one that pops up on TCM often and I keep managing to miss. Wonderful stuff here! Lady Eve, I really enjoyed reading your awesome post about Sturges! I love reading about the true life Hollywood behind the scene stories. What an imagination he had. My favorite films of his are: THE PALM BEACH STORY and THE LADY EVE. Thank you so much for posting up the pink ribbon and the link to find out more on how to help prevent and cure breast cancer. I'm doing extremely well after my surgery. Thankfully, It was caught in it's early stages and expect a complete recovery. Love, Dawn. Really enjoyed this, Lady Eve. Love learning about Hollywood history and landmarks. What a world they carved out for themselves, even if so much of it didn't last. Thanks for a great read. Jacqueline, I began an interesting journey into Hollywood history when I read an item about the Pink Taco opening last month. I knew Preston Sturges had owned The Players and squandered a fortune on it over many years, but I discovered there was a lot I didn't know. I'm glad you enjoyed the piece, the story fascinated me and I had great fun researching and writing it. Eve, I must agree with Kay: your wonderful piece about Preston Sturges' life and times, and his experiences as the head honcho and host of The Players (among other things) had the smooth, soignee feeling of a great VANITY FAIR magazine piece! Your detailed, affectionate descriptions of The Garden of Allah and other Hollywood haunts were fascinating, too; never before has real estate been so readable! :-) What is it about Hollywood big-shots that makes them want to become restauranteurs? Barbara Stanwyck really nailed it when she told Sturges "That goddamned greasy spoon is ruining you!" Ah well, maybe Babs and I are too practical for our own good! :-) Fabulous post, Eve, as always! Thanks so much, Dorian. Since posting this piece I've picked up a copy of Sheilah Graham's 1970 book, "The Garden of Allah." Though she's a bit remiss on accuracy at times (refers to the great director as Preston Sturgis and reports that he died in Paris), there's still much fascinating lore on the legendary "Garden" and the famous people she knew who lived there (her erstwhile lover F. Scott Fitzgerald, for one). My husband's "aunt", Pauline French, and her husband, Robert, worked and helped PS manage "The Players" Oh, the stories she would tell....one that sticks is Robert Mitchum was a penny pincher, never wanted to pay for his meal. Another time, PS need saffron and asked Robert to order 5 pounds! Robert and Pauline lived on PS' yacht while working there; Humphry Bogart used to swim over to visit. Robert also designed and built a sailboat for PS. I have a large photo of all of them standing in front of it. PS is with a tall willowy brunette, don't know if she's wife or girlfriend. This is great stuff! I would certainly love to hear more from you about Mr. Sturges, Players and your "aunt"-in-law and her husband. If interested in sharing more such tales, please email me at: ladyevesidwich@gmail.com.